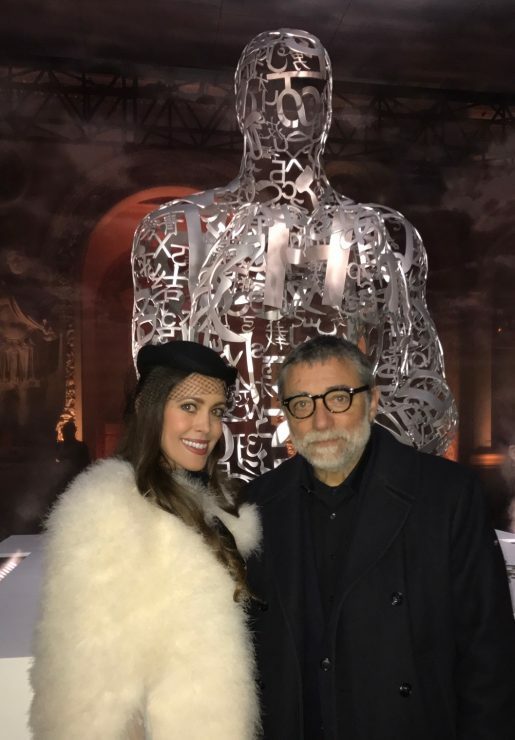 Two weeks ago, I flew to Paris to attend the exclusive launch event of Ruinart’s new artist for 2017: Jaume Plensa, the renowned Spanish artist who is known for his monumental sculptures in steel, glass, marble, polyester resin, concrete and bronze. He is recognized for his silhouettes of human bodies seated or kneeling who seem to scrutinize the horizon in a meditative manner, like the contemporary thinkers. His sculptures, which play with the relationship between words, signs and the human body, have today become his signature. 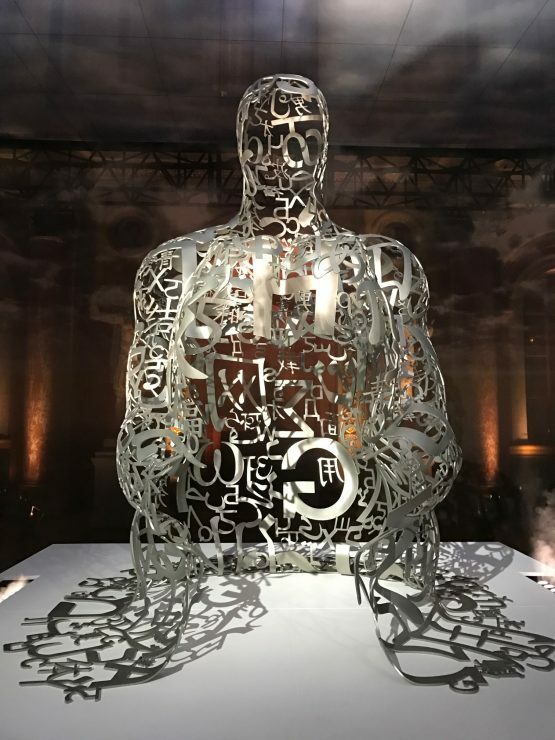 They are recognisable amongst all the works of art throughout the world and have turned Jaume Plensa into one of the most important players of the contemporary artistic scene. 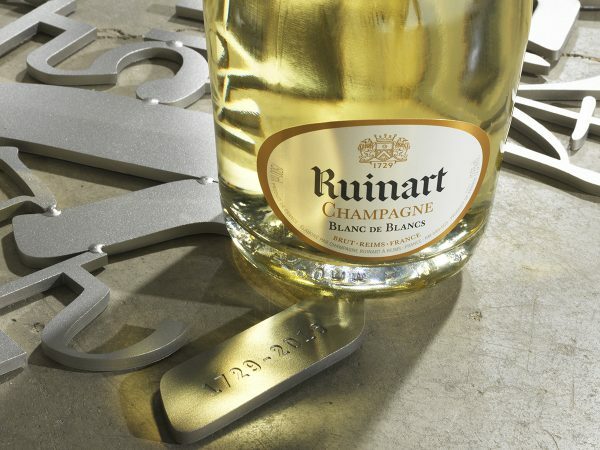 Each year, Ruinart invites an artist to create a special artwork for the oldest Champagne house of the world. 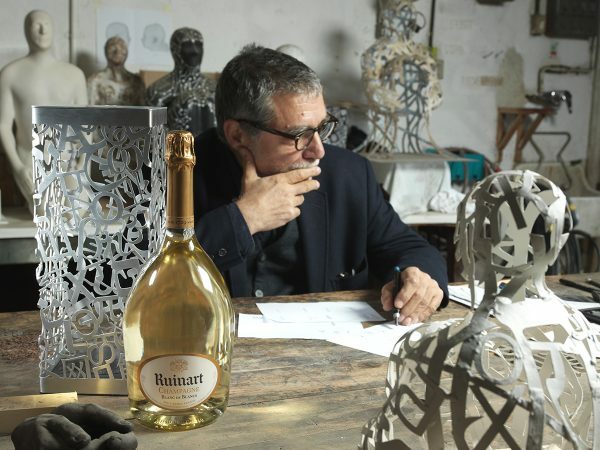 With Plensa, Ruinart has chosen an artist who has been able to express language, but more importantly the alphabets, the cultures of the world, their spiritualities, their transmissions and the visionary and erudite spirit of dom Thierry Ruinart, a key personality in the history of Ruinart at the confluence of philosophy and the art, merging the heritage with the future. 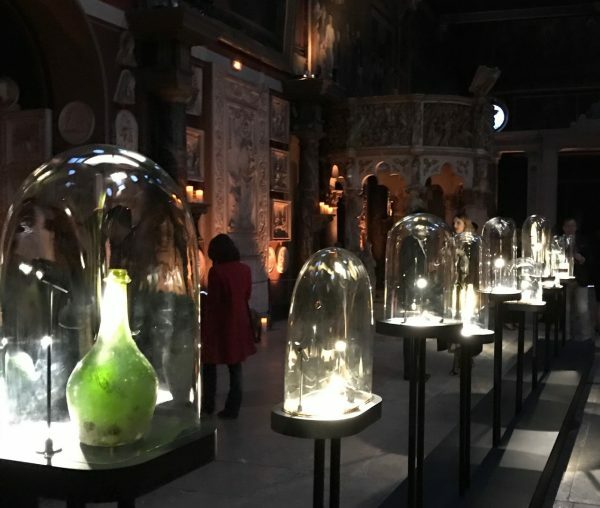 The event took place at the École Nationale des Beaux-Arts in Paris where Plensa also gives lectures. 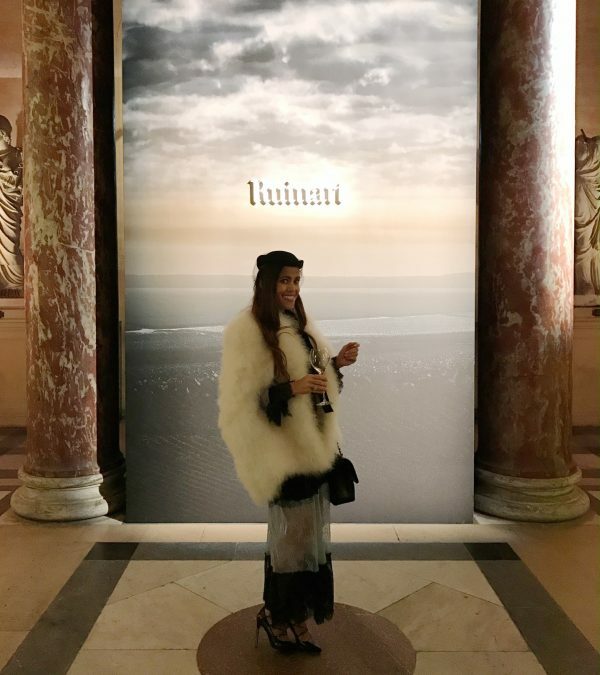 First we had the possibility to explore historic documents while enjoying my favourite champagne, Ruinart‘s Blanc de Blancs. 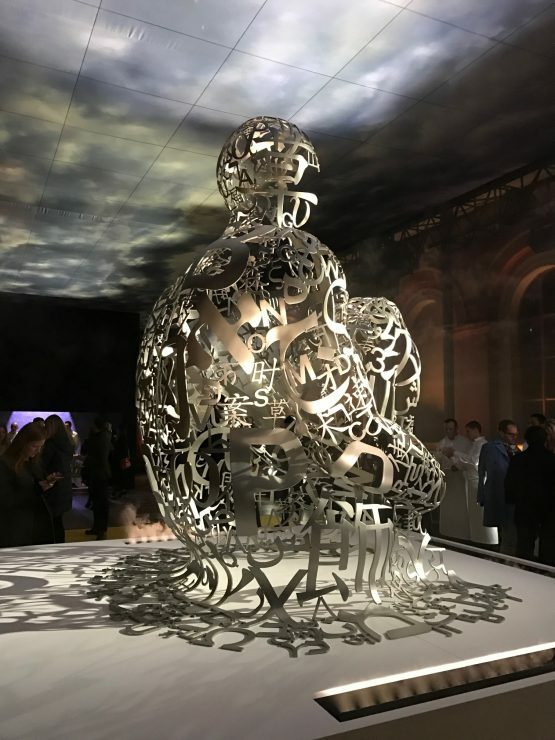 Later, we were asked to move into the next room where the stunning installation by Jaume Plensa was revealed in his presence that will later tour the world. 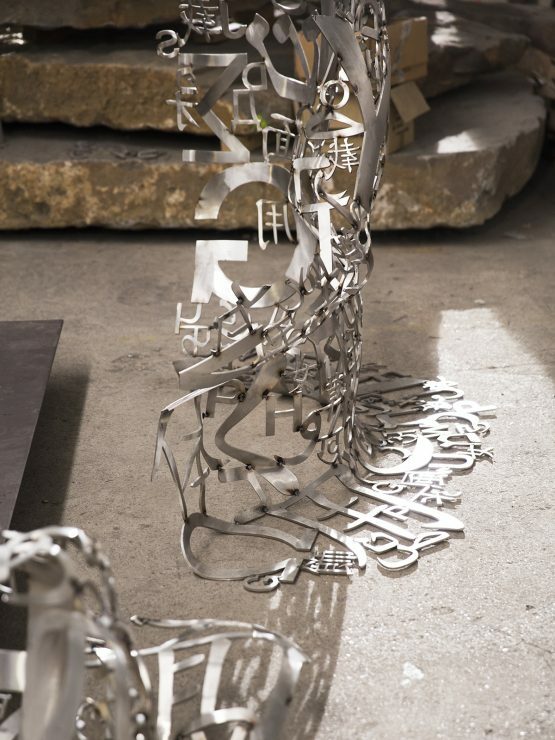 The sculpture takes up the shape of characters that he has already created, but there is never any repetition in his work. Every piece is unique. 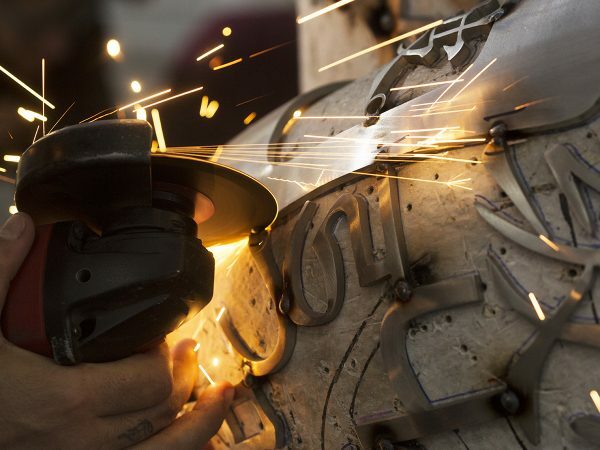 Every letter, assembled by hand, creates a second skin for the form, which is always reborn in a different manner. 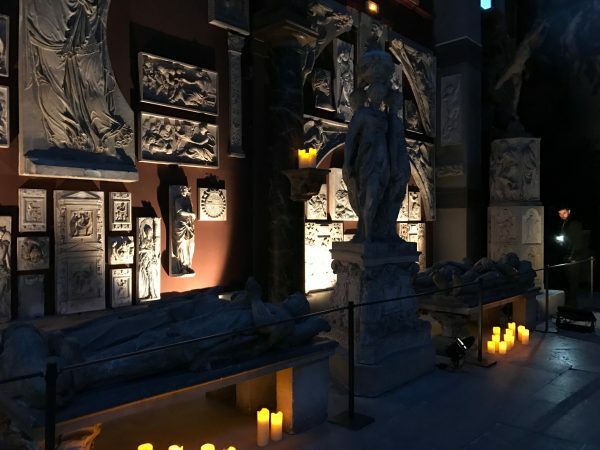 In the base of the sculpture he has engraved two dates: 1729 and 2016. 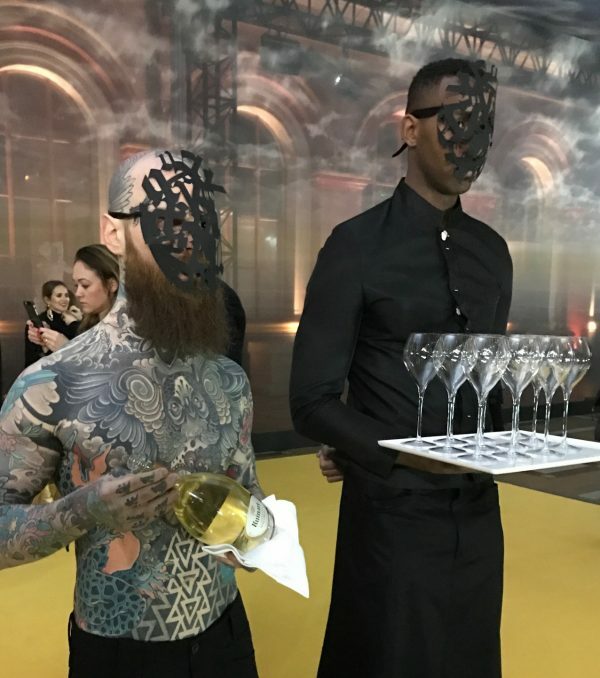 They are like a secret code, an encrypted message, linking the history between the foundation of Maison Ruinart and the creation of the work of art. The next morning, I had the chance to interview Jaume Plensa who is a very witty, charming and interesting gentleman. I loved his answers, the most significant quotes are in bold. Enjoy! What are the basics of creating for you? With what do you start? That is a very interesting question as this is something I am asking myself every day in the studio. I guess the main subject in my work is that I try to create something that people could touch and be touched by. I work a lot in public spaces. Mainly my work is based to identify yourself in the myth of others. We have to break borders and the walls we have been permanently creating throughout history. When I am working with alphabets or portraits of people from different cultures, it is interesting to recognize that we are all so similar. It is just the little things that differ. You use a lot of letters in your work. Do you have a favorite letter or alphabet? 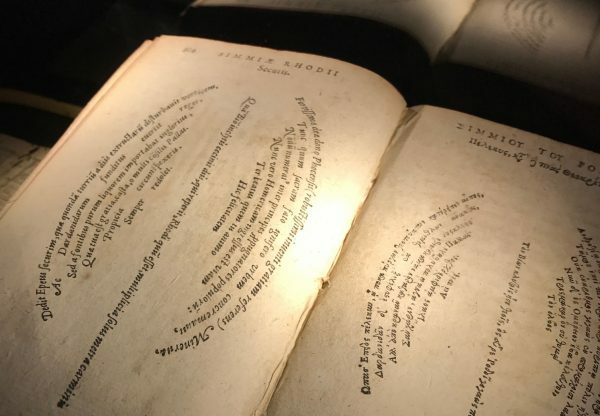 You cannot compare one alphabet with another. When you see Hebrew for example which is very rigid and you compare it with Chinese, that seems to be fireworks. Hindi is so beautiful always with a line on top which makes it so rich to look at. 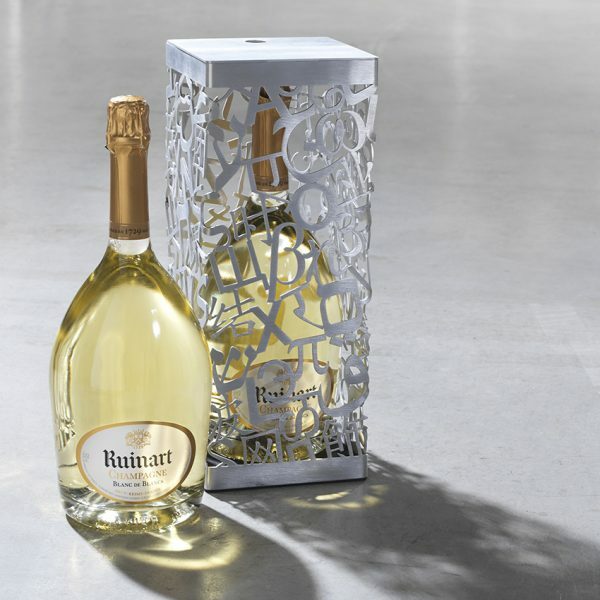 How long was the process to create for Ruinart and did you have immediately something in mind when you were approached? In general the way I work is that an idea is born with the shape, the material and the specific scale. Obviously depending if it is for a show, a gallery or for a public space, my attitude can be changing. It took me around 6 months to create the piece that had been revealed last night. I never understood art as a direction. My obsession was to grow up as a person, art was just the consequence of my life. I have never been interested in being in artist, but I enjoy it very much to express my emotions with visual art. The main material is life. When I listen to you, I don’t get the impression that you will ever loose inspiration. Do you ever feel pressure to not being inspired? Not at all. Creation is a way to breathe. I love when I am flying and the flight attendant is saying «If the pressure is low, please pull the oxygen mask, press it firmly on your mouth and breathe normally.» There are many moments when life asks us to breathe normally, I think it is something we must honor, it takes a little while but the most beautiful experience is when you understand that you are breathing normally. Do you ever get frustrated when you are creating because something is not working out the way you have planned it? Of course. My assistants are happy when I am not there. I have a lot of temperament. Creation is a dialogue with you and yourself. You could be your best friend, but also your worst enemy. That is one of the most beautiful experiences in creation when you must understand yourself, when you must accept yourself and this gives always a lot of frictions. 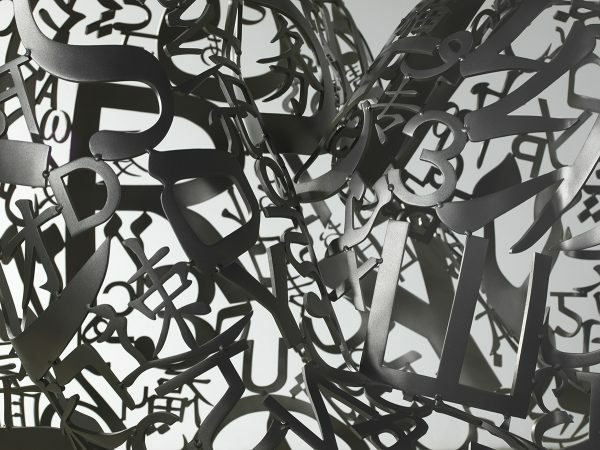 The best about Jaume Plensa? I have the privilege to be an artist, so I have the capacity and ability to observe the world. That is an amazing situation. 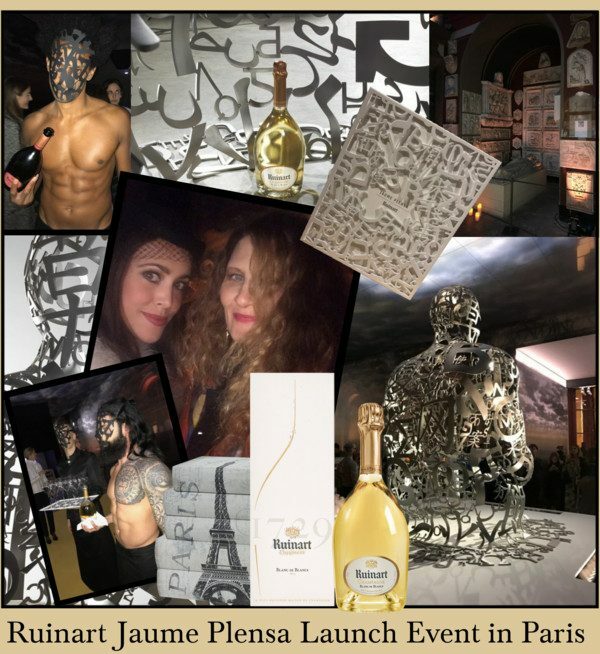 Only 20 bottles of the special edition signed by Jaume Plensa will be available worldwide for €3500 worldwide.